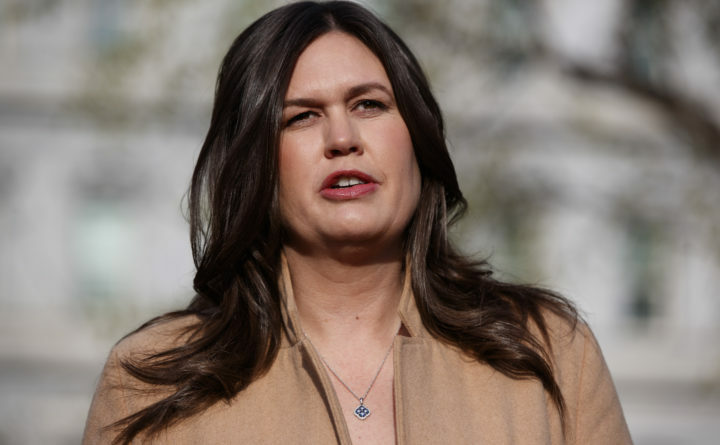 White House press secretary Sarah Sanders talks with reporters outside the White House in Washington, April 4, 2019. White House press secretary Sarah Sanders said Sunday that she doesn’t believe members of Congress are “smart enough” to examine President Donald Trump’s tax returns, pushing back against Democrats’ demands for information on the president’s finances. Washington Post writer Jeff Stein contributed to this report.